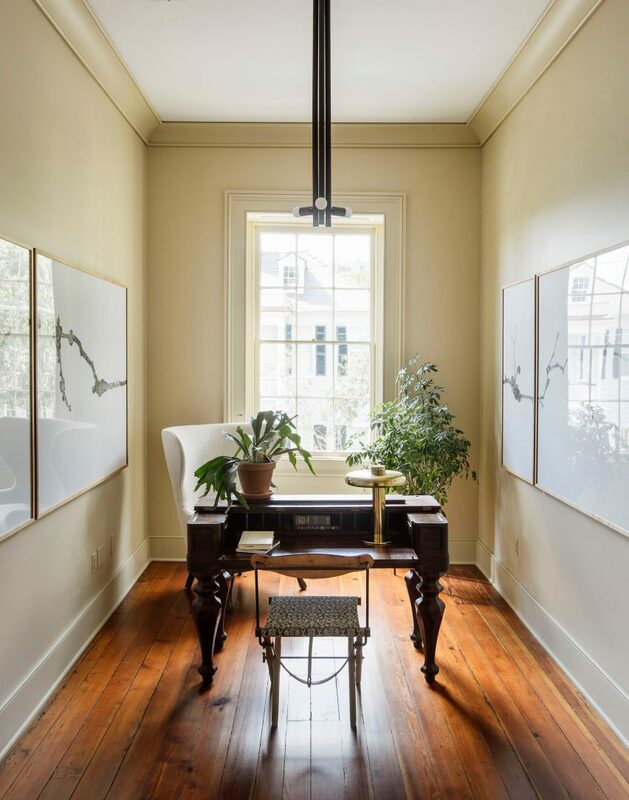 US design studio Workstead has reimagined "heritage elements as modern luxury" during the renovation of this home in Charleston, South Carolina, which was used as a store for selling blockaded goods during the Civil War. 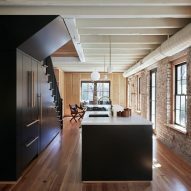 Workstead overhauled the three-storey property and its accompanying carriage house – a small outbuilding used to prepare food – which were built in 1853. 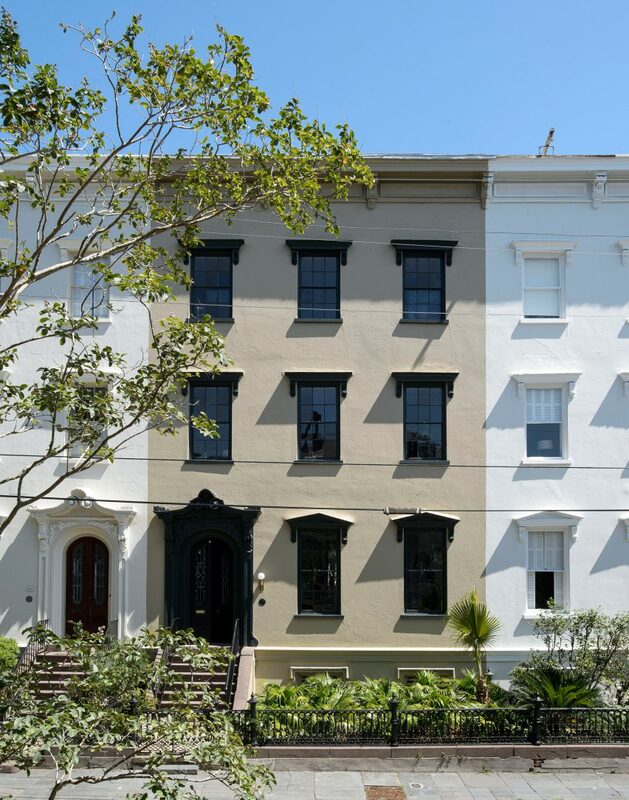 The row house is located on a street in the city known as "Bee's Row", where the studio also completed the interiors for another carriage house. Bee's Row gained its name when the row house and three neighbours were acquired during the country's Civil War by William C Bee. A leading blockader, Bee used the houses to sell the merchandise imported through the Union blockade to the South. The terraced houses are also said to have been home to the man that inspired author Margaret Mitchel's novel Gone with the Wind, and South Carolina's general superintendent during the Civil War, David Lopez Jr, who is celebrated as "the first practicing Jew to build a synagogue in the United States". Designed with the aim to celebrate this steep history, Workstead House captures an aesthetic the studio has coined as "southern modernism". Workstead has preserved many of the original details throughout, like the wooden staircase, balustrade and flooring, and left brickwork walls exposed. Decorative ceiling mouldings, windows and door frames, and fireplaces are also preserved and updated with paint. 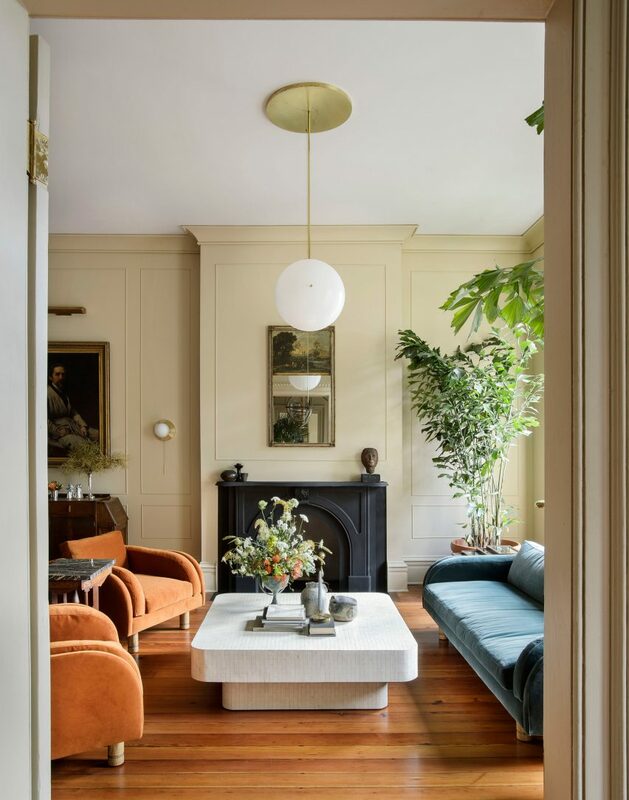 "Workstead House draws on the property's unique, storied past, reincarnating heritage elements as modern luxury in a welcoming home," said Workstead in a statement. 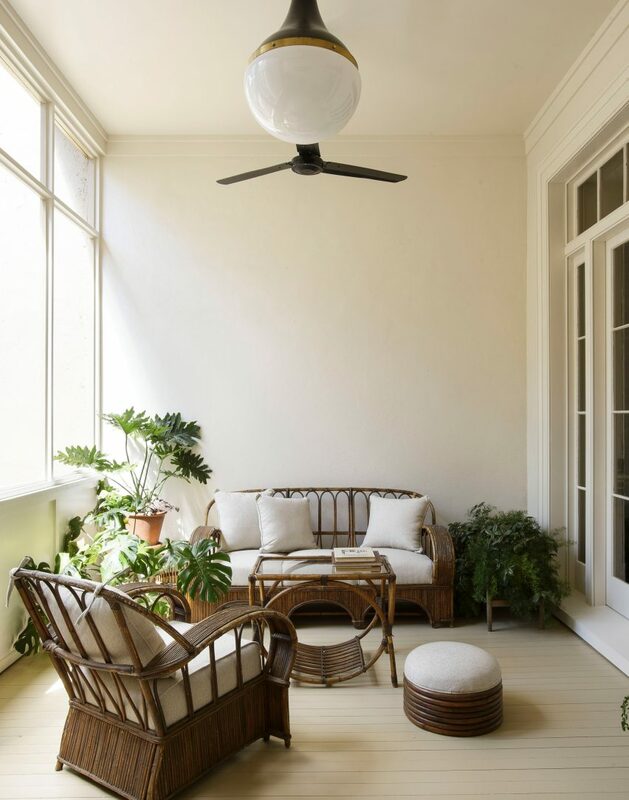 For the furnishings, the studio has paired heritage 19th-century pieces with contemporary designs. 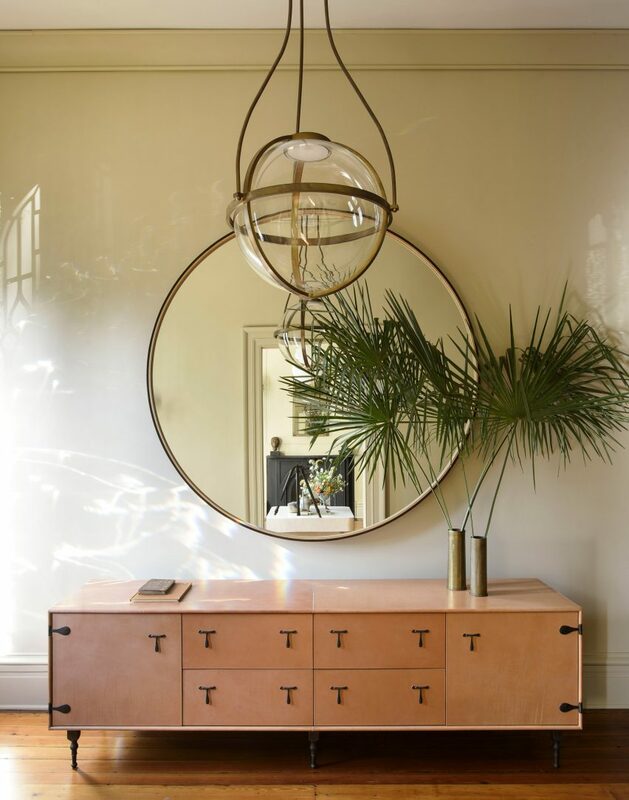 "Every element [is] curated in deference to, and reverence of, past and future, evoking a style – and lifestyle – both new and deeply remembered in South Carolina's low country," the studio said. "The result is an all-sensory experience of southern modernism." An eclectic mix of green textiles, leather and wooden chairs, metallic lighting, and planting feature in one of the lounges. Plush orange and green seats are placed in another, along with a tiled white table. Portrait art hangs on the walls in golden frames, contrasting more abstract paintworks found throughout the residence. 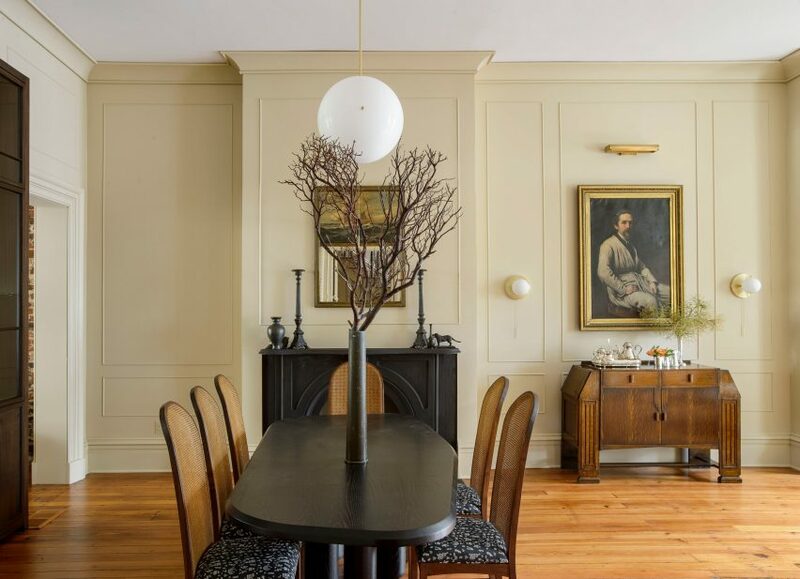 Chairs with caned backs and aged cabinetry that appears antique decorate the dining room, while the garden room is filled with dark, wicker furniture. 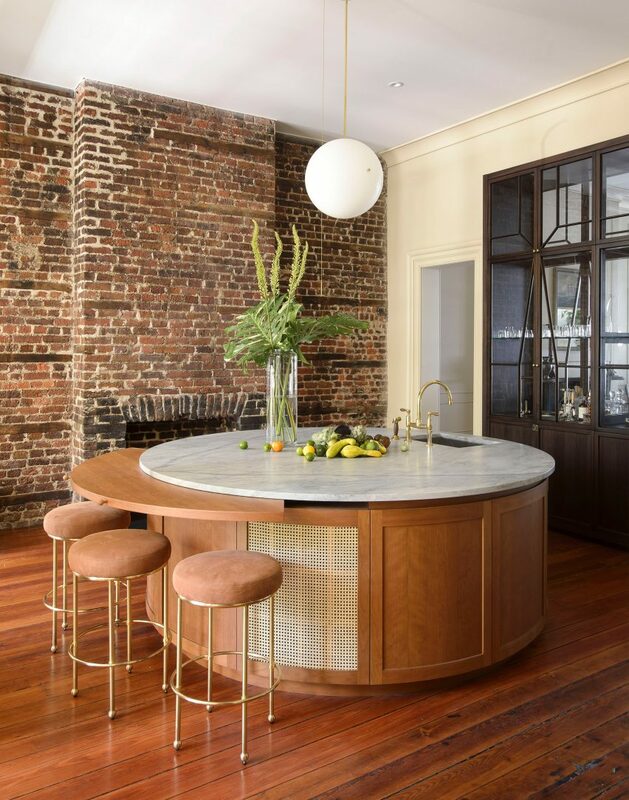 A circular wooden counter forms the centrepiece of the kitchen, topped with marble and featuring curved elements that slide out to provide a counter for eating. 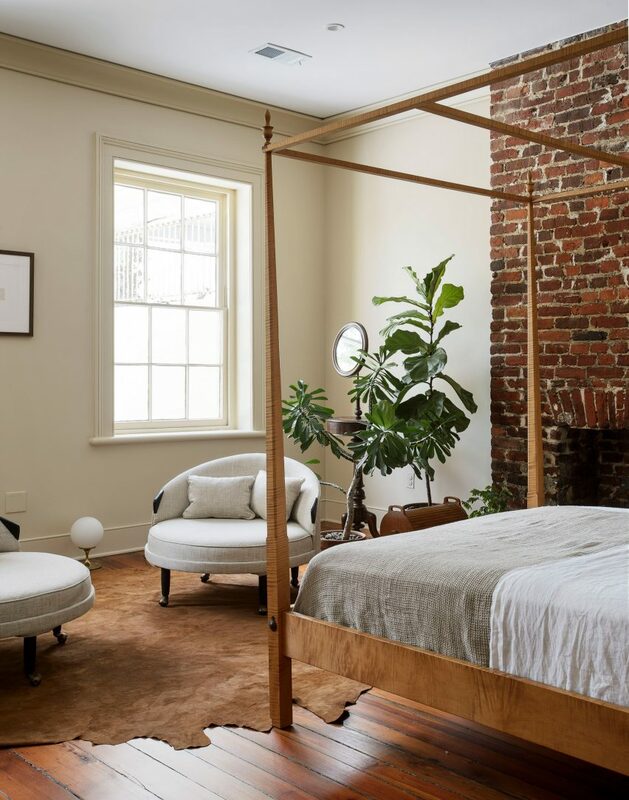 Upstairs, one of the bedrooms is furnished with a delicate wooden bed frame and a pair of pale chairs, while in the master suite, the bed is backed by a folded brass headboard. Doors lead from this bedroom into the darkly painted en-suite bathroom, where a pair of sinks are built to face out the windows. 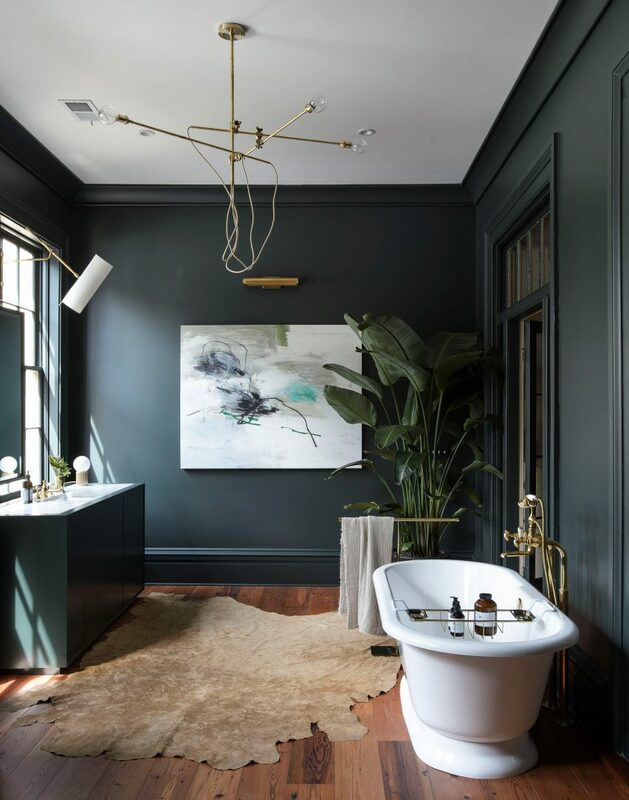 A rug resembling animal skin covers the wooden floor beside the freestanding bathtub, which has golden taps that match the towel rack and lighting. 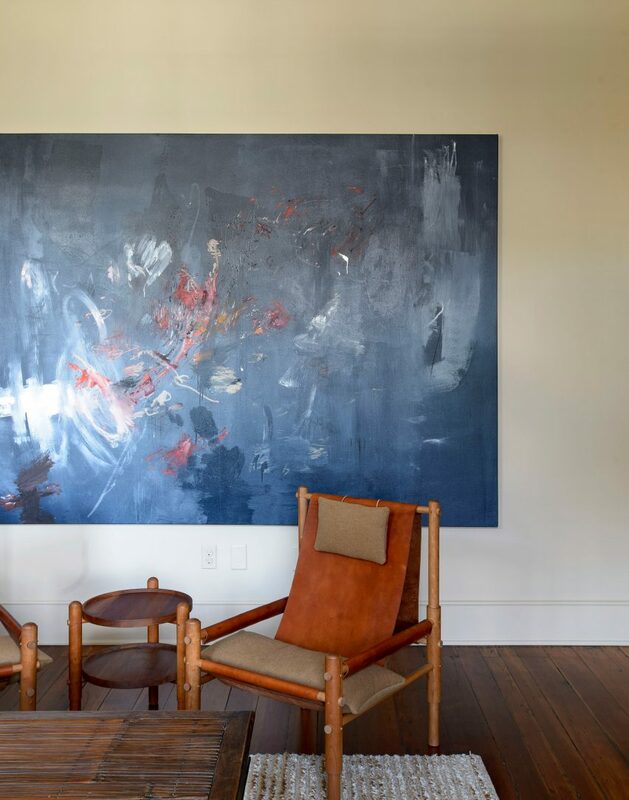 Workstead is led by husband and wife Robert Highsmith and Stefanie Brechbuehler, and has studios in both Brooklyn and Charleston – a port city that dates back to 1670, and has an impressive collection of historic buildings. 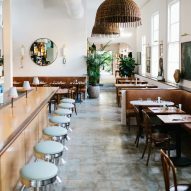 Other renovation projects in the city include a restaurant that US design studio Basic Projects transformed from a dark interior into an eclectic, light-filled dining space. Photography is by Matthew Williams. 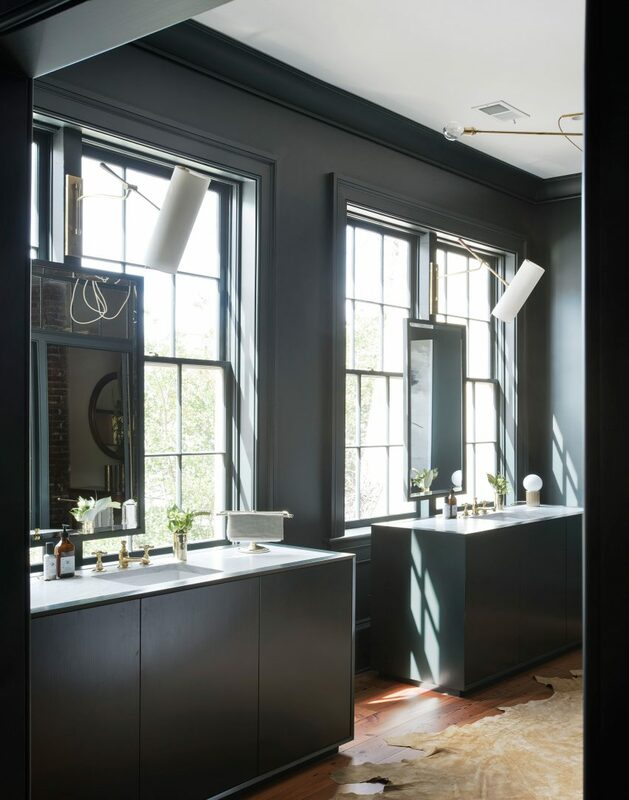 Collaborators: Gateway Park, Lawson Fenning, Farrow & Ball, Meador's, Urban Electric Co., Holland & Sherry, Croghan's, Moore & Giles, 2 Note Hudson, Tim Hussey, Jeff Holt, Melissa Sutton, Brandon Hinman, Artizom, Le Creuset, Sonos, The Shelter Collection.